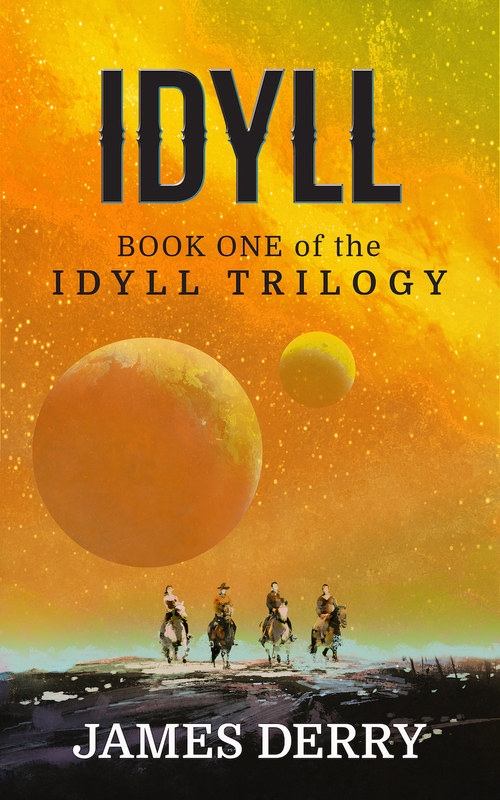 Idyll is a rugged planet—a new, simpler start for some 10,000 settlers who have fled Mother Earth. But a strange ‘plague’ of contagious sleep has devastated their Settlement, sparked by a mysterious mantra called the Lullaby. After a three-year quarantine, Walt and Samuel Starboard have set out from their ranch on a mission to cure their comatose mother and find their missing father. For days they ride through a blighted landscape: deserted cabins and gravestones and the ruins of towns destroyed by fire. Just when the brothers are about to give up, they stumble upon a second pair of survivors, two beautiful and determined sisters. Miriam and Virginia Bridge offer new hope, but they also present new problems. Stirrings of emotion and shifting priorities threaten to set the brothers against each other. Can Walt and Samuel overcome years of festering resentment, or will their rivalry tear them apart before they can reunite their broken family? And will any of them survive the revelation of what—or who—ravaged their home world? Walt and Samuel Starboard. Miriam and Virginia Bridge. Four travelers entered the mysterious City-Ship of Marathon, but only three made it out. Now our heroes are faced with a new, more existential threat. 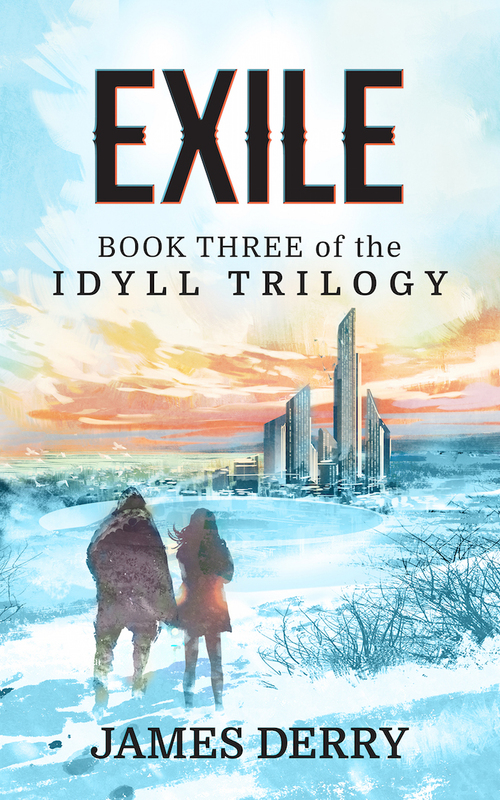 An invader from Mother Earth has arrived on Idyll—an outlaw psychopath who will use Terran technology to establish himself as the planet’s ultimate creator-destroyer. And to make matters worse—he’s brought company. To stop this ‘outcaster,’ Marathon’s survivors will fight their way through a demolished starship, under the bowels of their planet, across untamed wilds—and into a stark white desert unlike anyplace they have ever imagined. But will it be enough to save Idyll from certain doom? Continuing the story started in 2015’s IDYLL, THE WILDS is jam-packed with plasma-gun shoot-outs, a love triangle that spans an ocean, and ‘Lord of the Flies’-style suspense. If that sounds like your kind of character-driven sci-fi goodness, then you should check it out! The Starboards and the Bridges are back for the pulse-pounding conclusion to the Sci-Fi Western / Dystopian IDYLL trilogy! Now our settler heroes find themselves living in self-imposed exile on a cold and otherworldly island fortress. Their new ‘Citadel’ is arrayed with technology that’s more fantastic—and deadly—than anything they’ve ever imagined. But their new position brings powerful enemies, and also the implacable curiosity of the Parliament, the world-shaping entity that ultimately controls all of Idyll. 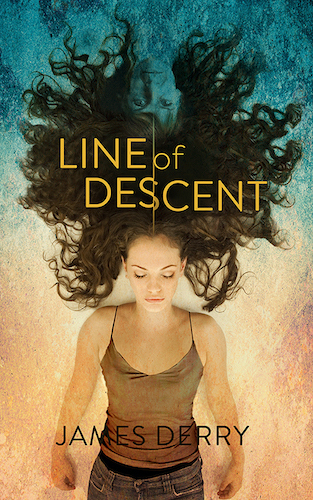 Can they learn to work together—even while fostering new romances and tending to old wounds? Who is the mysteriously familiar stranger haunting their new home? And how far can their bonds of love and family hold? Beyond the threshold of death itself? To protect their friends and their planet, Miriam, Virginia, Walt, and Samuel must prepare for the ultimate showdown. And even war. I’m liking this book so far. Love how the plague works! Thanks! Way back when, it started out as a mystery phrase that turned people into crazy zombies. But I decided zombies made the story too violent. Kind of glad I switched it, since zombies are so uber-ubiquitous nowadays!